Tom was born in the North East of England, went to school until 15 then worked as a boiler maker in Teeside until he emigrated to Australia with his young family in 1982. working at his trade, he painted when he found time. He and his family moved to Harrietville from Perth in 1989. 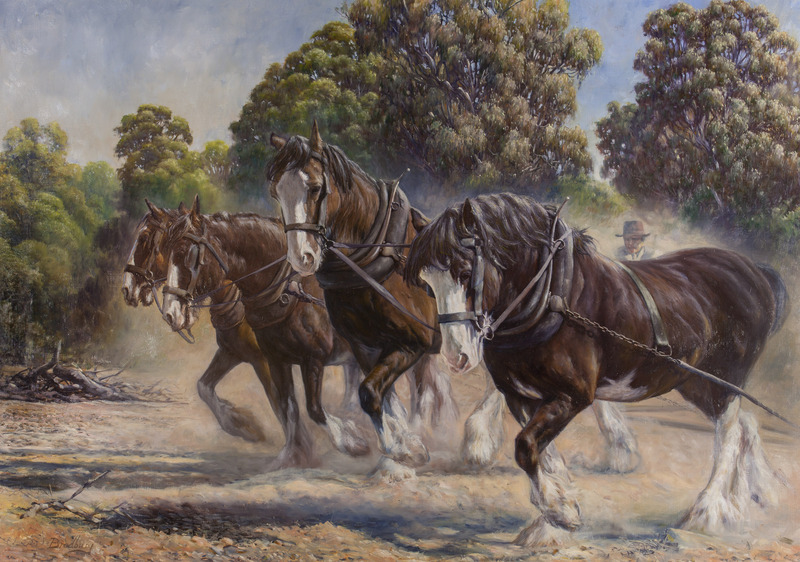 His admiration for the early settlers has led to him mostly painting landscapes and working scenes of horses, wagons and machinery from the old days. Over the `12 years he has been entering the Bright Art Show he has been awarded many High Distinctions in the Oils section. His intricately detailed, realistic paintings make him one of the most popular painters in our exhibitions and he has sold several hundred works, some destined for overseas.